Observations of Comet 17P/Holmes in outburst. Comet 17P/Holmes increased in brightness over a half of million times on 2007 October 24 ( APOD 2007 October 26 ). On November 1 it was still in peak of its brightness, when I pointed at it the 25-cm telescope of my home observatory located in the Nizhnyj Arkhys, Community of the Special Astrophysical Observatory in Karachai-Cherkesia, Russia. Figure 1. 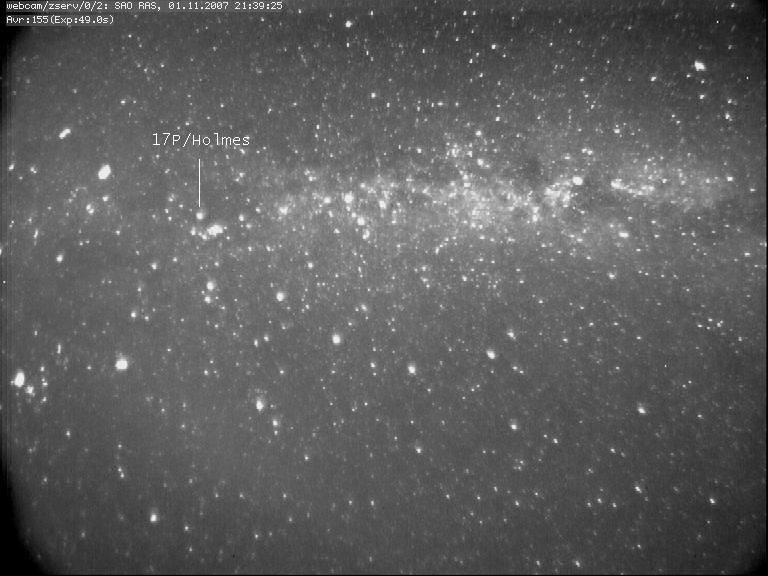 Comet 17P/Holmes identified in the frame of SAO 1-m Zeiss all-sky TV camera on 2007 November 1. Figure 2. 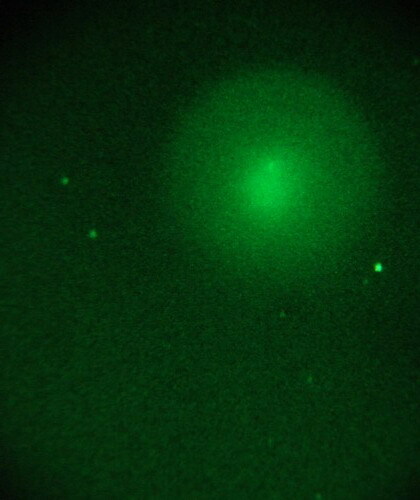 True-color image taken with the FujiFilm F10 digital camera through 5-cm telescope-finder of 25-cm telescope. 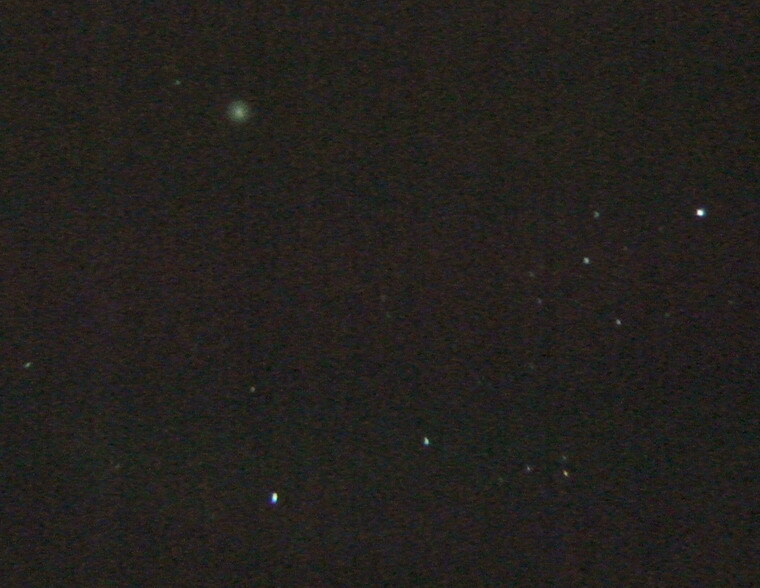 Bright blue star located near the right edge is alpha Persei, bottom blue star is delta Persei. 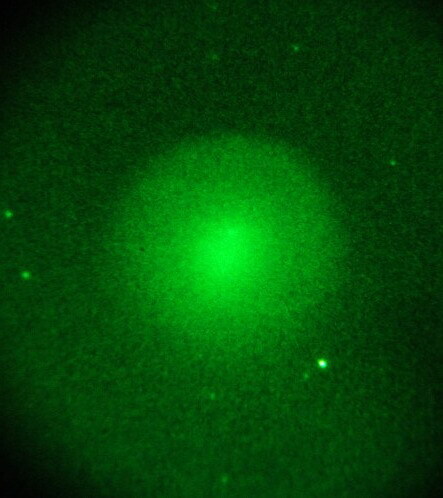 Comet is a green nonstellar object. Field size is 5x4 degree. Images of Comet 17P/Holmes taken on 2007 November 1.66 UT in the Cassegrain focus of the 25-cm telescope equipped with the electronic image tube. FujiFilm F10 CCD camera and 3 sec. exposure. Field size is 23x27'.